Trump fears self-driving cars: "You can't stop the f*cking thing"
The President reportedly said "I don't trust some computer to drive me around." 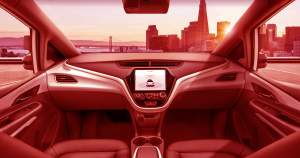 Donald Trump has aligned himself with the 71 percent of Americans wary of self-driving cars, reportedly telling a number of people he doesn’t trust autonomous vehicle tech, according to Axios. Axios spoke to four anonymous sources who all heard Trump say he doesn’t believe self-driving technology will ever be perfected. Trump’s comments come as a surprise, given his administration’s push to relax regulations and speed up the rate at which companies can develop and test self-driving vehicles. But apparently his own administration’s efforts aren’t enough for Trump to relinquish control over his golf cart’s steering wheel.